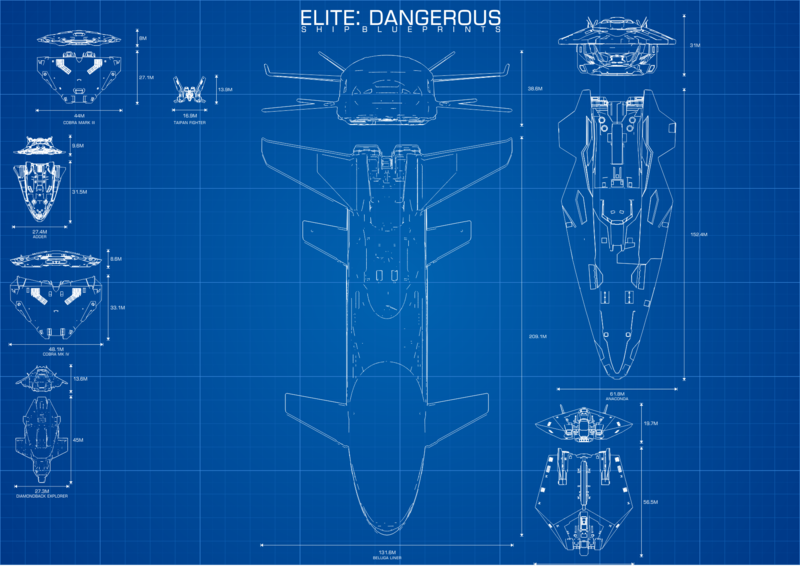 The Blueprints are coming, the Blueprints are coming! After completing the ship size comparison chart update, I had some - well, less than positive feedback. 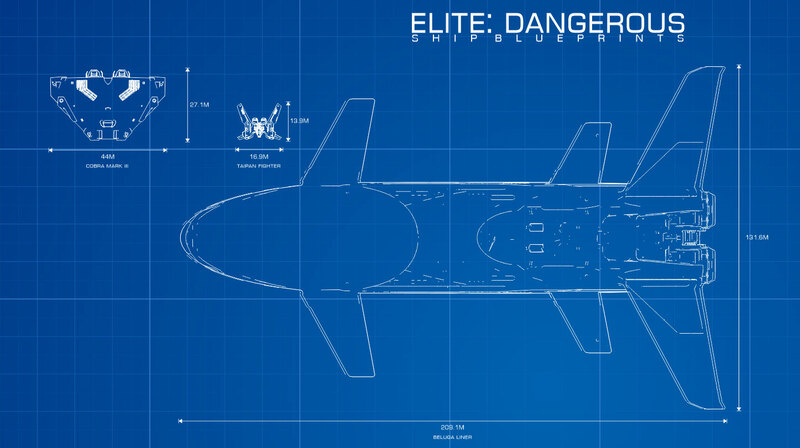 So as per moany-pants the reddit poster's request, I'm doing some light-detail blueprint style diagrams. This'll take a fair amount of time to do, but what the hell! It's only my marriage right? I got started today with some basic styling. UPDATE: Added front view as well, so all dimensions are covered.